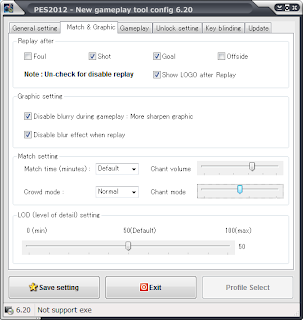 Fixed “Gameplay run.exe” cannot start game, now Im sure it would be stable. 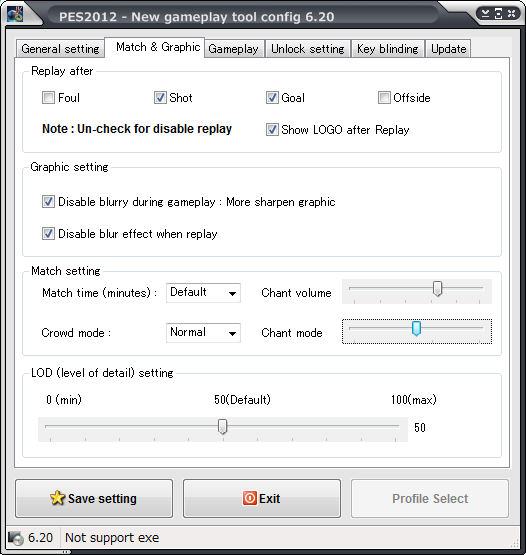 Fixed bug when load chant map. 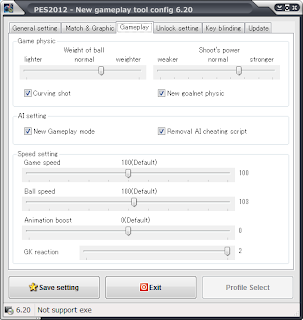 Since version 6.x gameplay tool can be attach direct to your exe file (like kitserver) It meants can play game via your exe without launcher tool. 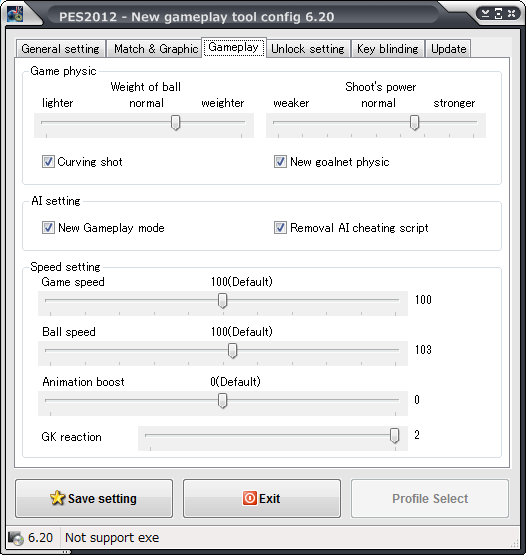 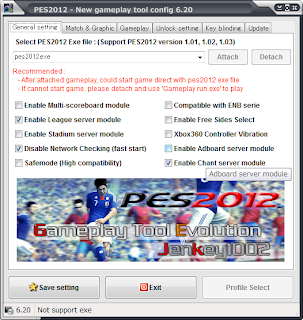 Download PES 2012 Gameplay Tool - Version 6.2.3 - Chant Server. 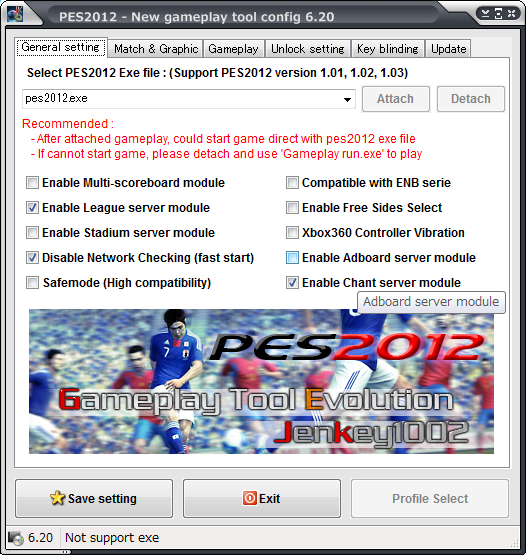 This is a mod for Pro Evolution Soccer 2012 video game.